Help children develop their problem-solving and fine motor skills as they design and build projects from the ground up using these pre-painted Styrofoam "bricks." 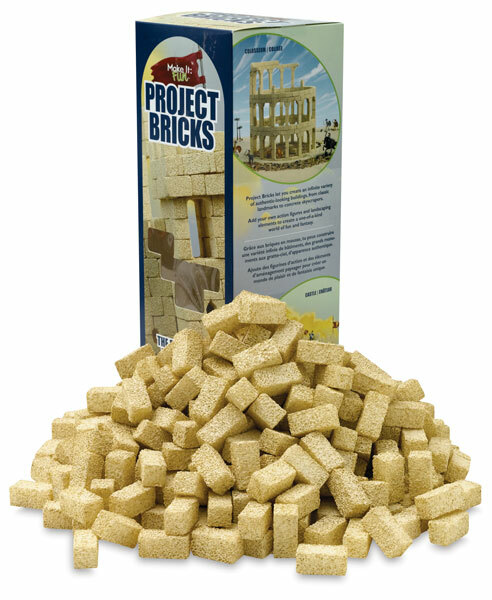 Styrofoam Project Bricks are great for school projects and for creating role-playing sets such as pyramids, bridges, castles, igloos, spaceships, and more. They can be cut to any size or shape, or painted a different color. There are approximately 280 bricks in each kit. Each brick measures 11/16" × 11/16" × 1-7/16" (1.7 cm × 1.7 cm × 3.7 cm).